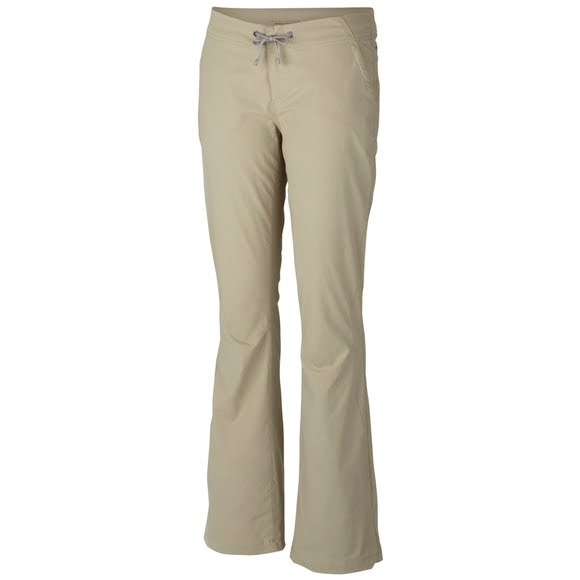 Treated to resist stains, rain and harmful UV rays, this durable and flattering stretch-nylon boot cut pant from Columbia keeps you protected and comfortable during outdoor excursions or everyday errands. If you haven’t tried Columbia’s Anytime pants you are missing out. They are incredibly comfortable yet stylish and flattering. I own them in every color. I’m generally reluctant to buy “hiking” type pants, as the fit is never flattering and there isn’t an option for a short length. Not these. The fit and length are perfect and they are super soft and comfortable. No rustling noise when moving. I’ve worn them in cool, windy weather (okay, it’s Florida and some may not think that counts), but they resist the wind and are comfortable for both cool and hot weather. I love them so much, I now have them in 4 different colors.